Auston Davis is the Chief Information Security Officer (CISO) at Lucile Packard Children’s Hospital Stanford and Stanford Children’s Health, the Bay Area’s largest health care system exclusively dedicated to children and expectant mothers. In his role as CISO, Auston provides the overall information security strategy, vision and leadership to Lucile Packard Children’s Hospital Stanford and Stanford Children’s Health. Auston has built a reputation as an expert in insider threat investigations, cyber-forensics and use of threat-intelligence and big data analytics for predictive attack prevention. His many accomplishments include the development of a robust cyber-security program focused on threat prevention, detection and rapid response and his ability to build relationships with business partners and staff to ensure the organization’s maximum security effectiveness through training and awareness. In addition, Auston maintains an expert level of understanding of all applicable laws and regulations which impact both business and patient care operations. Prior to joining Lucile Packard Children’s Hospital and Stanford Children’s Health in 2013, Auston served as the Director of Information Security at Kaiser Permanente. His security expertise spans many industries from healthcare to high tech. His previous roles include Interim CISO and Director of Threat response and Investigations at Symantec, Director of Global Cyber-Security and Investigations at Visa USA, Inc. and Senior Technical Manager at Merrill Lynch. Auston is a proud 23-year veteran of the United States Air Force and Air Force Reserves. He retired in December 2013, after serving for several years as a Special Agent-in-Charge with the United States Air Force Office of Special Investigations (AFOSI) specializing in Counter-Intelligence and Computer-Crime Investigations. 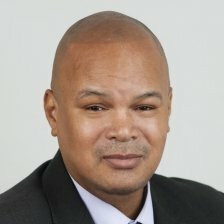 Auston currently serves as an Advisory Board Member on the Association for Executives in Healthcare Information Security (AEHIS) and is an active member of Infraguard, an FBI sponsored threat intelligence information sharing organization and the Electronic Crimes Task Force which is sponsored by the US Secret Service. He serves part-time as an Adjunct Professor of Computer Science at San Jose State University, where he leads a class in cryptology and computer security. He received his Masters of Science in Computer Science Degree from Boston University and Bachelor of Arts Degree from San Jose State University. He is an avid private pilot, enjoys riding his motorcycle and spending time with his family in his spare time.